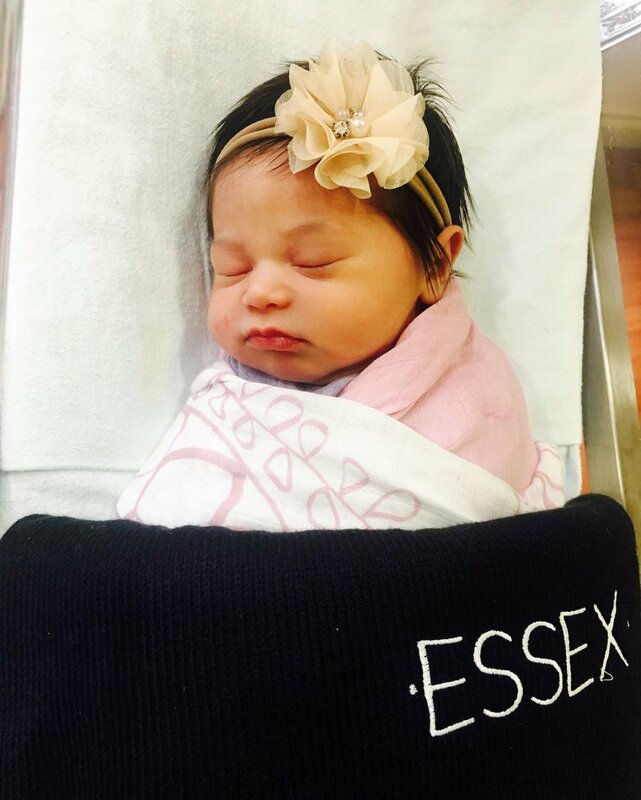 The seventh-season The Bachelorette couple welcomed their daughter, Essex Reese Rosenbaum, this past Friday in Miami, FL, People reported. Nicknamed "Essie," the baby girl arrived at 10:38AM, weighed seven pounds and 11 ounces, and measured 19 inches long. She also has an adorable full head of hair. "Both mommy and beautiful baby Essie are doing great!" Rosenbaum, 39, confirmed, sharing two photos of the couple smiling with the newborn after Hebert's caesarean section in the hospital. "Already has me wrapped around her little finger. I'm in trouble!" the proud dad captioned one photo obtained by the magazine, later adding in the second picture on Instagram that he has a "perpetual fear of future boyfriends." Hebert, 32, got engaged to Rosenbaum on her season of The Bachelorette and they went on to marry in a televised ABC special in December 2012. They are already parents to son Fordham Rhys, who celebrated his second birthday in September. The Rosenbaums announced their little girl's impending arrival with a sweet Instagram post in late May.